Home Design	Motiflow Blog, time to meet! Motiflow Blog, time to meet! Yes, here it is! We are happy to announce to you: the first Motiflow blog. Behind the scenes we’ve been very busy with this idea. So, what can you expect? And who are we? You will find it out here! 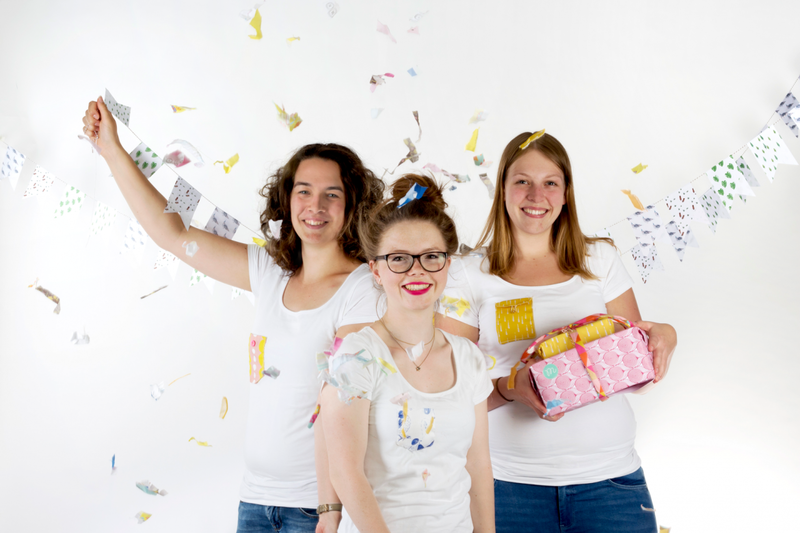 When I (Rensina) visited Motiflow for the Dutch sewing fashion magazine Knipmode, I immediately fell for their concept. With so many beautiful patterns from designers at one platform, the creations you can make are endless. After a while I went over a second time for my endproject fotostyling. When we were discussing some ideas, our heads just couldn't stop creating more and more. There is so much to show (fabrics, designers, textile uses), so much to photograph but also so much to tell.. And that's when the Motiflow blog was born! And the Motiflow Crew. Together you can create beautiful things, that's what this platform is all about. And it's also more fun. Therefore I asked two fellow bloggers which I knew from my education. They were as enthusiastic as me. And so the Motiflow Crew had formed! Time to introduce ourselves..
Hello! I am Rensina Steursma, 24 years and I graduated for the education Product Presentation at the Cibap College in Zwolle. This education is all about styling, shop design, decoration and window dressing. The last year I focussed myself on textile. So you can understand I’m very happy to set up this Motiflow blog with the crew! Next to my creative education, I have my own blog for several years now: Mydailyteacup. Here I write about DIY’s, recipes, hotspots, tea (I´m a tea addict!) and more. I´m also searching for opportunities to start my own shop. And as you may guess.. it's going to be a teashop! When ‘Yourdailyteacup’, what will also be the name of my shop, is live I will share this on my Instagrampages: @rensinas and @yourdailyteacup. So if you don't want to miss out any of my tea findings, follow me! Hello, my name is Babette van Huis. Maybe you know me from my own blog or Instagram: @StudioBabsie. I’m 20 years old and graduated at Cipab College as a Designer Product Presentation. My dream is to combine photography and styling and work for magazines like VT Wonen, Libelle, Home&Garden en Delicious. It happens often that I let my meal get cold because I was busy creating the right composition for that one photo. At my blog Studiobabsie.nl I write about my passions: photography, styling, design, interior and so on! You can also find me on Instagram, where I like to share my photographs, my inspiration and I also like to give people a sneak peek behind the scenes. Also for the Motiflow Blog, so stay tuned. Hi! My name is Melissa Ritsema, 20 years old and during my last week of college (same as Babette and Rensina) I won tickets for the Creative Life event via Motiflow. When I went there, I was hooked on patterns right-away (so watch out!). That's why I started my own company Studio Mel, where I design my own patterns. Which you can, of course, also find at Motiflow! When Rensina asked me to join the Motiflow crew together with Babette, it only took a few houres before we were sitting around the table brainstorming (and drinking lots of tea.. Rensina forced us to!). Do you want to follow my journey as a pattern designer and see what I make? Follow my Instagram and Facebookpage. Every month we will work with a new theme and every week there will be a new article up on the blog! With photo's, DIY inspiration, styling tips and much more. For this month we chose a Party theme, as a start of this blog and our collaboration. It's going to be one big party! In the first five blog themes we will show what you can do with the materials that Motiflow prints, and how you can use them best. The first blog is all about gift wrap, which is a recently added new material! And no party without confetti, garlands and lots of gifts.. So stay tuned and have fun! Do you have any questions for us or about this blog? Write them in the comments or send us an email: blog@motiflow.com. You can also tell us about your ideas or tips, we are very curious! Do you want to follow us on Instagram? That’s possible, we will share pictures about the Motiflow blog, like behind the scenes and sneak peeks at #motiflowcrew, #motiflowblog and #diymotiflow.